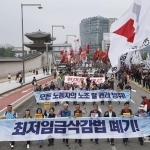 KCTU News - April 24, Korean Workers Strike! 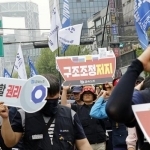 April 24, Korean Workers Strike! 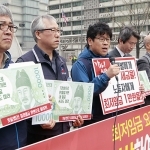 The national congress of the Korean Confederation of Trade Unions(KCTU) resolved to call a general strike against the government’s comprehensive policy package to attack working and living conditions for all workers. In a nation wide ballot carried out on March 21~April 8, 84.35% of all voters were in favor of going on a general strike. 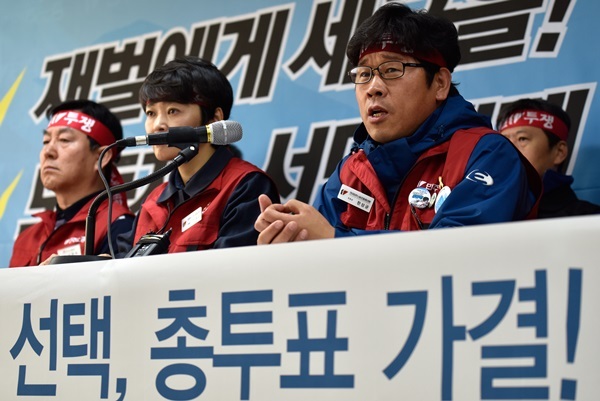 On April 24, striking workers will have rallies in 20 different cities. 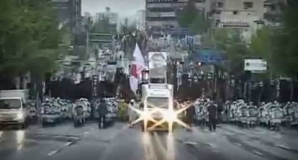 On May 1, 100,000 workers will gather in Seoul. 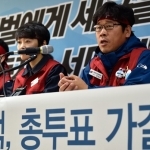 Abolish the retrogressive ‘labour market reform’! Stop the Public Pension Cuts! Improve National Pension System! KWR10,000 (per hour) for Minimum Wage! Fundamental Labour Rights for All! - Expansion of the range of jobs where labour dispatch is permitted. 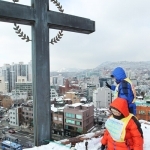 - Legalisation of in-house subcontracting.